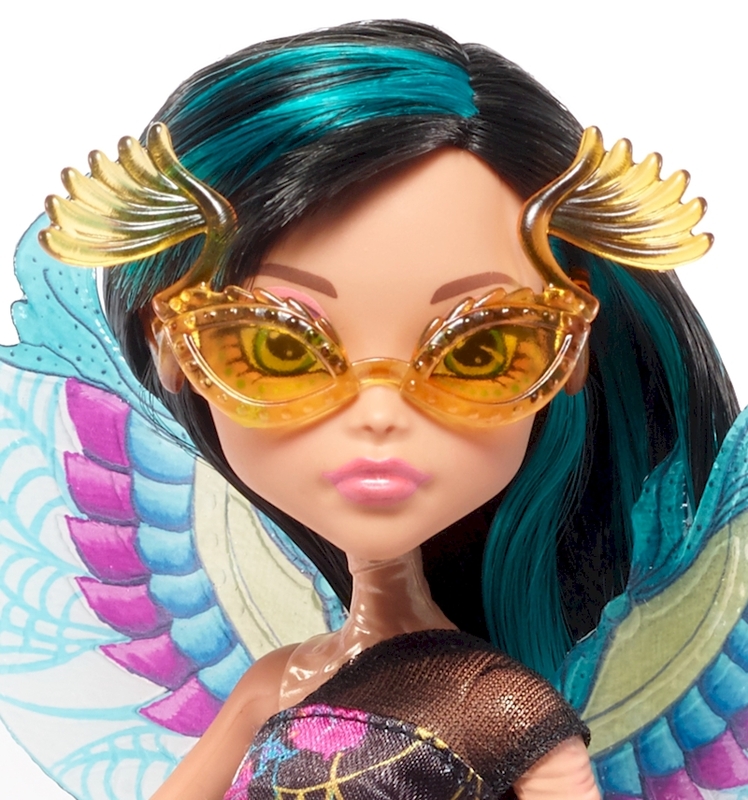 The Monster High™ Garden Ghouls™ winged dolls help imaginations take flight! Gore-geous scarab beetle wings have a colorful, Egyptian-inspired design to help Cleo de Nile™ doll enjoy fantastic flights of fancy. The daughter of a mummy comes to life in an outfit that highlights her signature style and complements the wings. 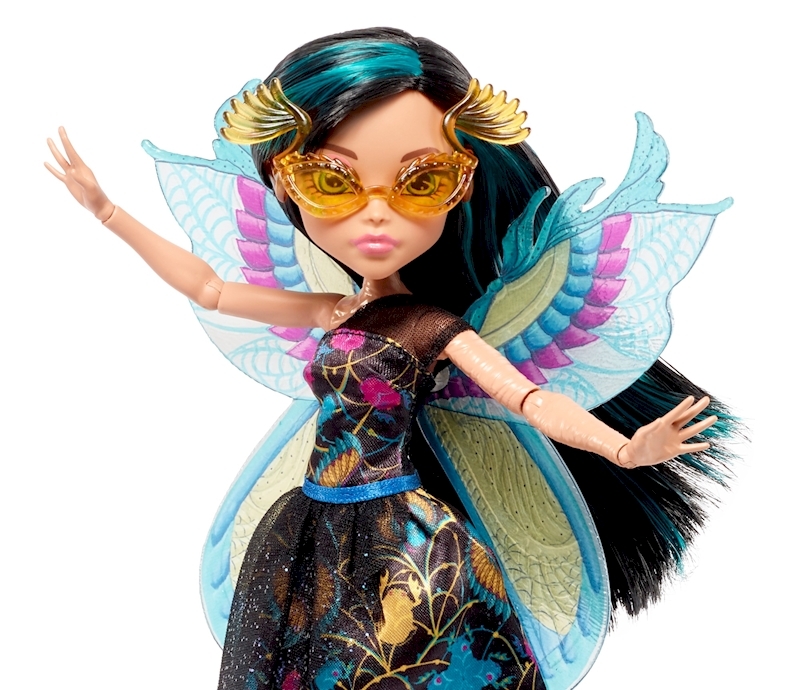 Fly-tastic accessories include golden, wrap-decorated booties and orange eyeglasses with bug-eye effect. Look for monsterrific touches like Cleo de Nile™ doll's blue and black hair and wrap markings. 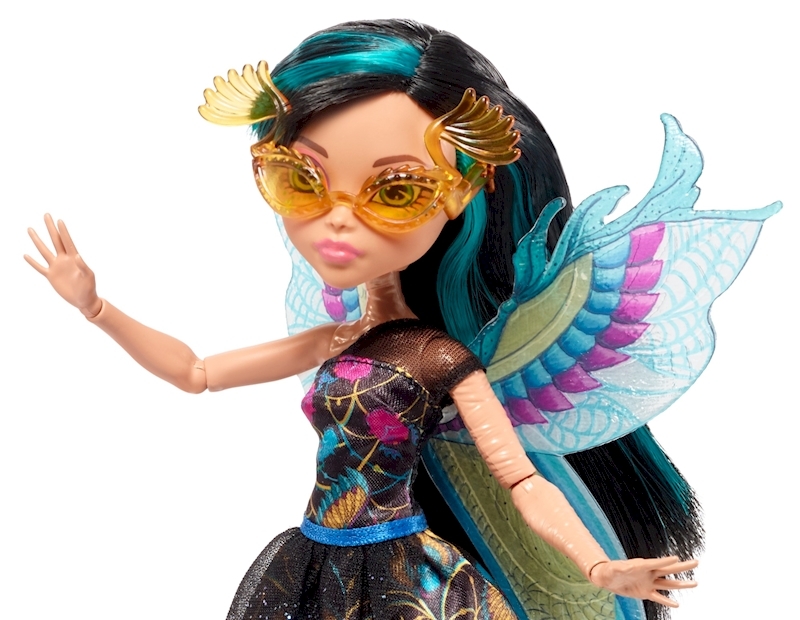 Young ghouls will love discovering what makes them uniquely fantastic along with the beast friends from Monster High™. Collect all of the Monster High™ Garden Ghouls™ dolls and accessories to grow your own gore-geous garden of fantastical fun (each sold separately, subject to availability). 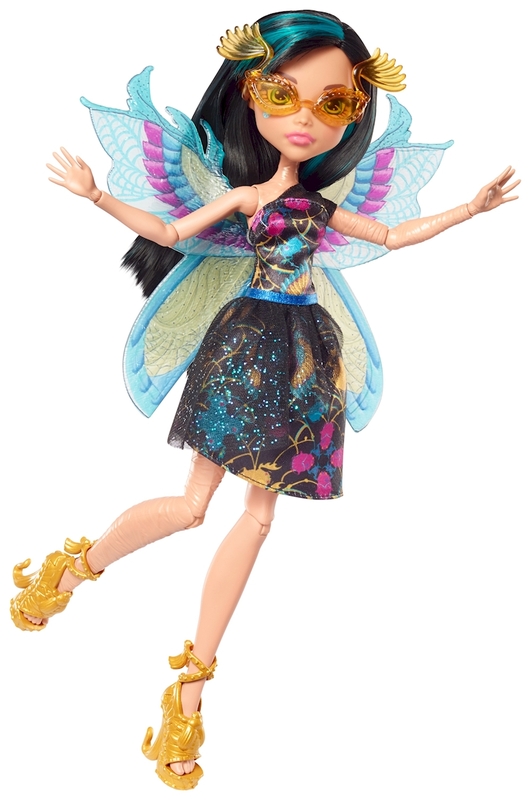 Includes Garden Ghouls™ Cleo de Nile™ doll wearing fashion and accessories, including wings. Doll cannot stand alone. Colors and decorations may vary.